Contact us to Discuss Your 2018 Plans! Specialist Glazing Projects is owned and run by a knowledgeable team with over 100 years of combined experience within the industry. 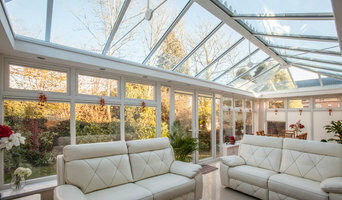 Our team of experts pride themselves on providing bespoke glazing solutions, progressing your project from the initial stages of design through procurement and installation to completion. We specialise in projects within all market sectors that include residential enhancements, Historic restorations and commercial projects. We can assist with specification, technical support, innovative design with 3D modelling technology, and specialist installation. Specialist Glazing Projects main mission is to deliver outstanding glazing solutions understand specific clients’ needs and merging our experience to deliver solutions that defines design. Our professional team have completed a wide range of projects throughout the UK, meeting and exceeding our client’s expectations. 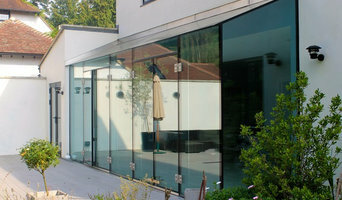 Projects have included the design and installation of aluminium windows, sliding doors, bi-folding doors and rooflights. We have created a range of frameless glazing solutions for our clients that include structurally glazed walls floors and roofs. 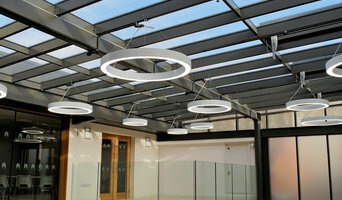 Large span toughened glass assemblies including glass box extensions, frameless glass links connecting two buildings. 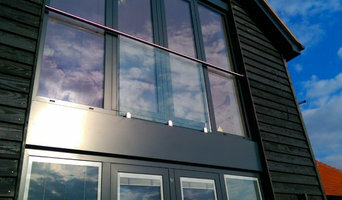 We have designed structural glass balustrades to maintain the safety while providing minimal visual impact. Specialist Glazing Projects are proud to be an accredited supplier and installer of the UK’ only frameless glass, fire rated doors, LUNAX. This unique product sits within our wide range of aluminium and steel framed fire rated systems giving us one of the most comprehensive range of fire rated glazing systems in the UK. We would welcome the opportunity to discuss your project in detail. We can join you at the preliminary concept stage to assist with your design, or later to help in delivering your project. Whether you are planning a grand design or making the most of your small space, we pride our selves on our creativity with glass and our ability to craft a bespoke solution just for you. Encased Glass Ltd offer a bespoke service for the design, manufacture and installation of beautifully integrated steel doors and partitions. We offer our clients complete design freedom, including frame design, colour, finish & glass style - all delivered in as little as 4 weeks. For more information and a 24 hour quotation - please get in touch. Established for over 35 years we have built up an enviable reputation for quality of both products and service. Our extensive portfolio of high quality windows, sash windows, doors, Bi-Fold doors, conservatories, sunrooms and orangeries offers you a variety of design options to complement and enhance the look of any property. Good design and the right product for your property will enhance its aesthetic appeal and can maintain the value of your home. Just look at our customer testimonials to see what people are saying about us. We use our experience of the industry to source the finest materials from a select range of specialist suppliers so that we can offer you unbeatable cutting edge products. Using our exclusive supply agreements and by striving for low sales overheads, we are pleased to be able to offer you the most up-to-date, technically superior products, at extremely competitive prices. 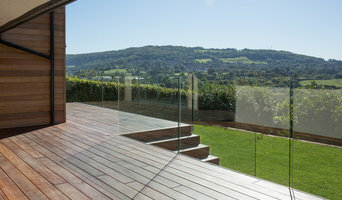 Panoramic Windows are specialists and market leaders in the South West. Our product range includes : Windows Conservatories Orangeries Sun Room Bi-Fold Doors Secondary Glazing Sash Windows Doors Panoramic Windows Quality and Guarantee Panoramic was the first company in Bristol to be awarded the Kitemark for window installation. The Kitemark is the most recognised quality mark in the world and we are now assessed by inspectors from the British Standards Institute, so you can be assured that we are constantly striving to achieve a level of product and service unmatched by many others in the industry. With decades of combined experience specialising in Aluminium Windows and Doors for both Residential and light Commercial use, we like to think of ourselves as experts in the field. If you have a new build project or are looking to replace some tired old UPVC we can help. We’ll consult on style and design and we’ll carry out a full site survey, arrange bespoke manufacture and our friendly, professional team will install. We can offer products from a wide range of suppliers to suit any budget all with a 10 year guarantee. Our staff are experienced in reading Architectural plans and we’ll happily take on projects of any size; from Schools and Commercial Buildings to small extensions and Orangeries. What can specialist window companies, glaziers or window fitters in Bristol do for me? Specialist Bristol window companies and fitters can diagnose problems and prescribe a choice of remedies, while keeping in mind factors such as the style of your property, ease of operation, budget, noise reduction, thermal efficiency (the lower the U-value, the better), durability and maintenance. It is a balancing act that only a glaziers can deftly strike. Most Bristol window companies will be able to take care of both supplying and fitting your new or replacement windows, but if you have already purchased your windows from a window manufacturers then you can find a Bristol fitter to just take care of the installation. Where can I find the best choice of Bristol window manufacturers and window installers? Right here on Houzz. Look for Bristol Windows & Double Glazing professionals in the Find a Pro category and then save images of window styles you love in an Ideabook. Take time to look through each window company’s profile and get a sense of where their strengths and specialisms lie. Make sure your window manufacturers’ work comes with accreditation: whether from FENSA (Fenestration Self-Assessment Scheme), FMB (Federation of Master Builders) or TrustMark. Find window companies and glaziers on Houzz. Narrow your search in the Professionals section of the website to Bristol window companies. You can also look through Bristol photos by style to find new and replacement windows you like, then contact the glaziers, window manufacturers or companies who installed them.